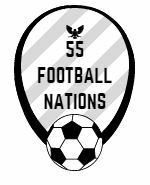 55 Football Nations hit a mega five top division matches in Israel (Bnei Yehuda, Hapoel Be’er Sheva) and Cyprus (Doxa, APOEL, Ermis) and lower league fare at Yeruham and Lakatamia. Small football nations have their benefits. Travel photos include diverse Tel Aviv architecture, ancient Jerusalem and the divided Cypriot capital of Nicosia.